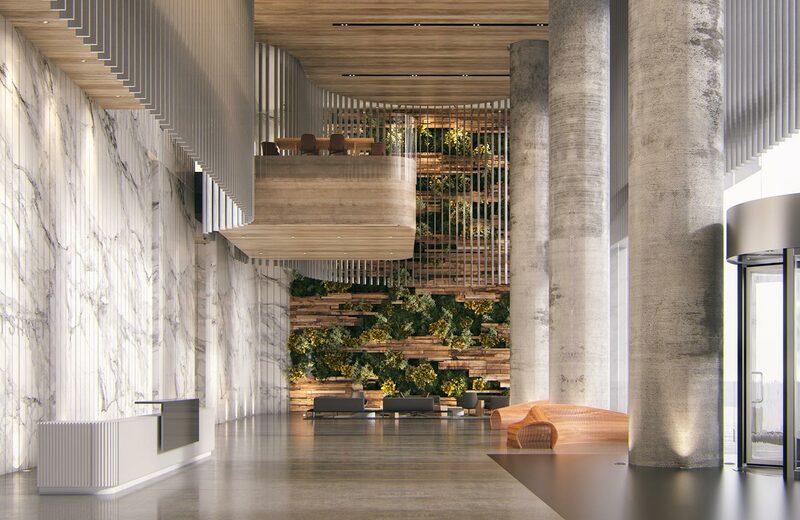 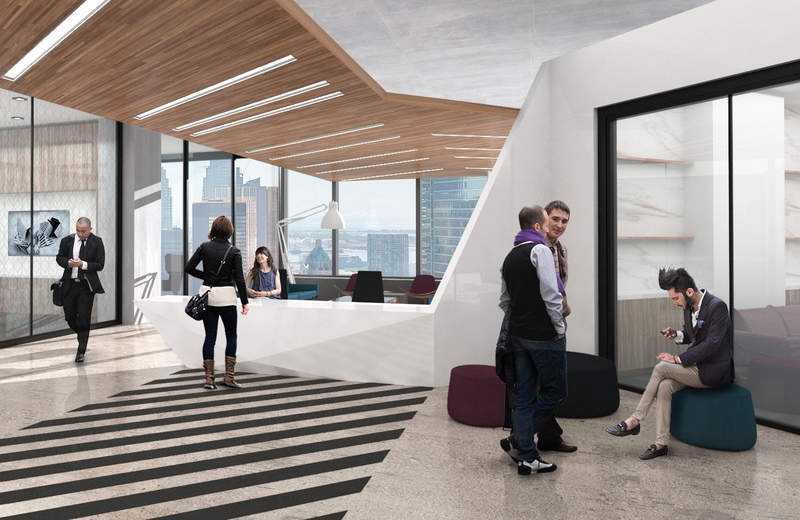 The offices at The Well will offer sophisticated workplace solutions, with over 1,000,000 square feet of flexible space available for rent in one of the most inspiring professional hubs in Toronto. 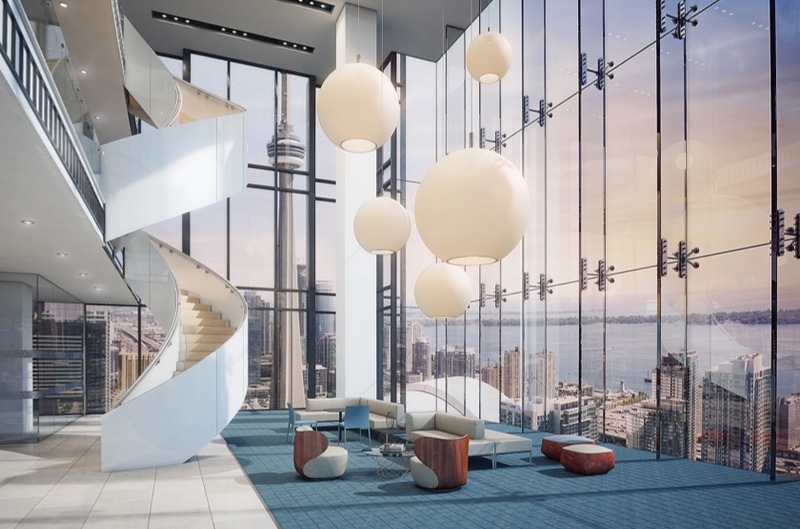 Registered under the LEED® green building rating system, and targeting a LEED® Platinum certification, this 38 floor offset core building can accommodate the evolving needs of today’s office users. 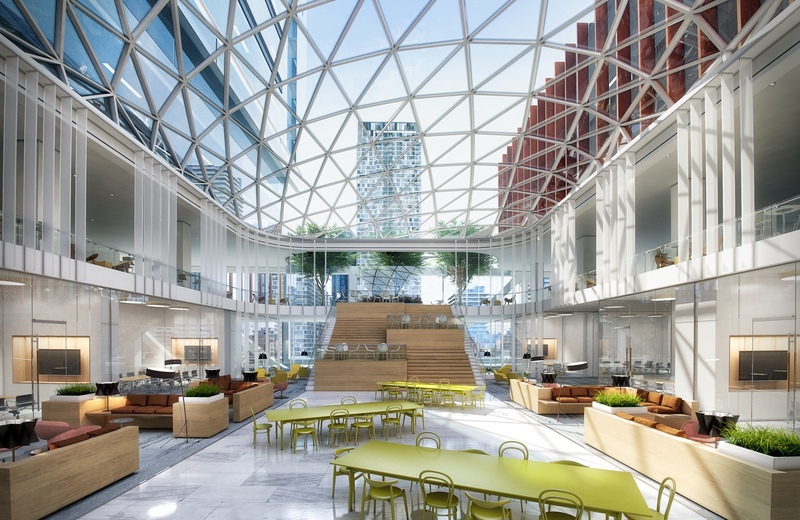 Workspaces are housed in buildings reflective of the industrial character of King West, and soar to new heights in the signature office tower at the corner of Front and Spadina. 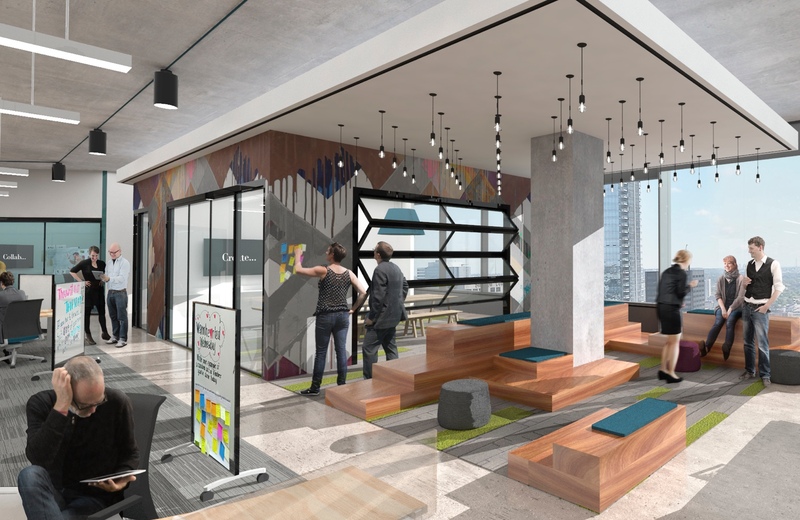 The landmark office tower will feature just under 1 million square feet of rentable space, with an additional 125,000 square feet of office space available for rent at The Well. 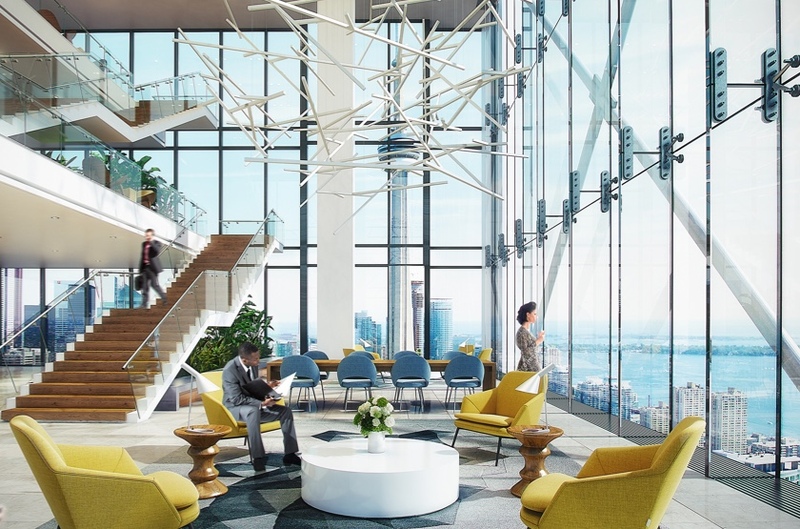 The office tower will include floor-to-ceiling windows, double-height space and an offset core optimized for various planning scenarios. 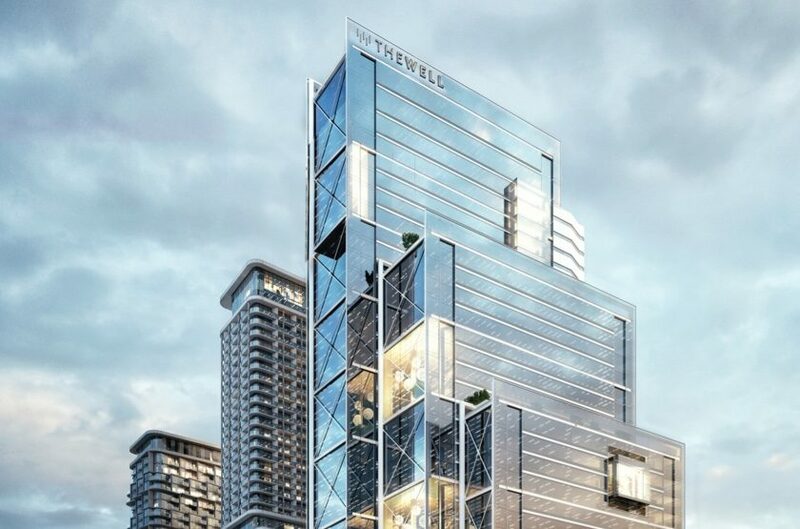 The office space at The Well is a best-in-class office building with human comfort and environmental sustainability at the forefront of its design. 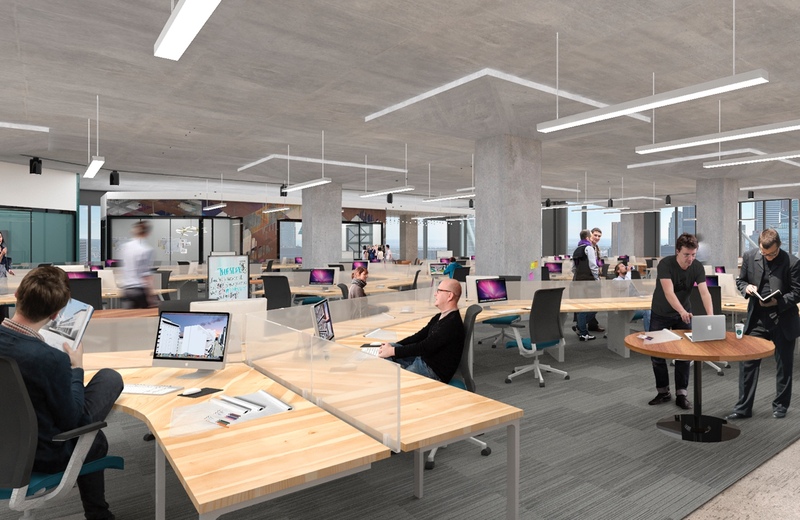 Conservation with the creation of a more comfortable, productive and practical workplace is the mandate. 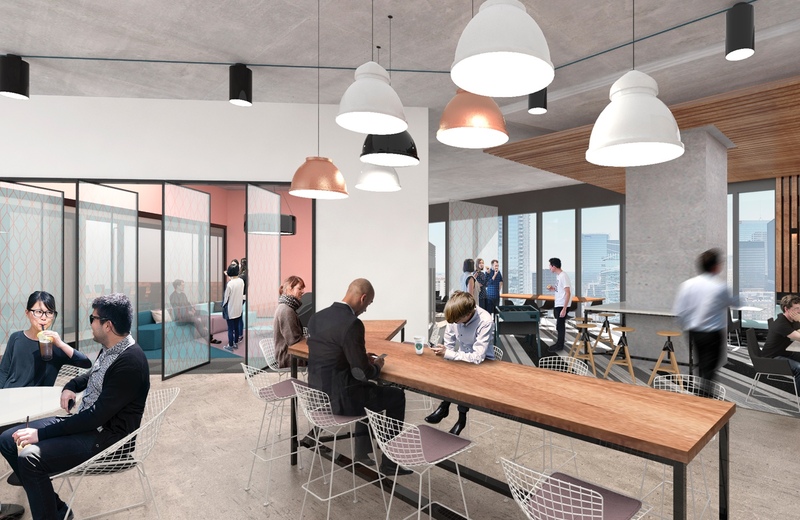 The Well is designed to meet the evolving needs of modern office employees, incorporating floor-to-ceiling windows, bike storage, shower facilities and flexible infrastructure for a more agile work experience.